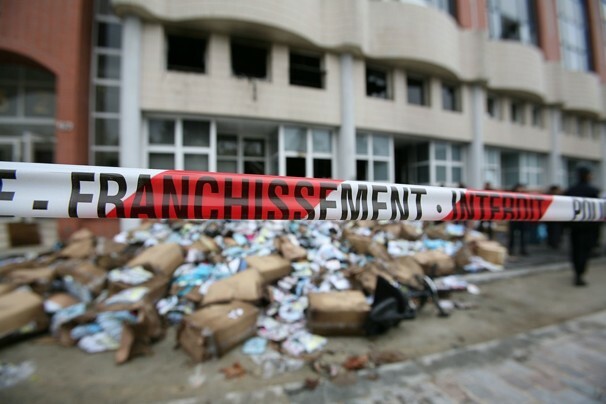 FIREBOMBING FOR SHARIA – The offices of the satirical French magazine Charlie Hebdo were firebombed attack after it portrayed Mohammed to be its “guest editor.” The November 2 firebombing came at the same time the magazine’s current issue titled “Sharia Hebdo” (a reference to Islamic law), and featuring a cartoon of Mohammed on its cover appeared on newsstands. There was no outrage on the part of the socialist left or multi-culturalists in France. They seem to agree that free speech does not allow blasphemy against Islam. NASHVILLE SHARIA CONFERENCE UNDER ATTACK – After forcing the Preserving Freedom Conference out of the Hutton Hotel with threats of violence, Islamists and their leftist supporters in the United States have moved their war on free speech to other targets. When the Cornerstone Church agreed to allow the conference on Sharia, then the conference speakers, their organizations and employers have come under attack. The Constitution or Sharia Conference will be held on 11/11/11. WE WILL NOT BE SILENCED! MORE CHRISTIANS MARTYRED – Armed Muslims attacked a church Thursday, killing at least two people, in the town of Zonkwa, in central Nigeria. Another 14 were injured in the attack. Then, today, three suicide bombers targeted the headquarters of the military and secret service in another Nigerian city, Maiduguri. 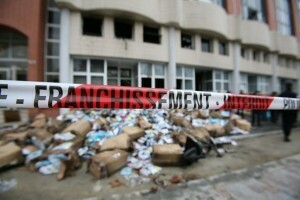 The Islamist Boko Haram group was behind both attacks.